The Tellabs AccessMax is a widely used piece of network equipment, although you may not be familiar with the name. During its life, the AccessMax has also been called the Tellabs 1000, DMAX1120 and UMC1000. So what is it and how can it help your network? Tellabs AccessMax is a flexible Multiservice Access Platform that relies on a modular design to support a broad array of features and network deployments. Its chief functionality and benefit is the ability to distribute 100% of Class 5 services over TDM or IP/Ethernet transport networks. You get to balance equipment and needs while reducing some switch requirements for maintaining a robust network. Empower your network to reach more customers and provide high-quality service while also cutting costs with reduced switch needs or by subtending remote switches with an energy-conscious platform. 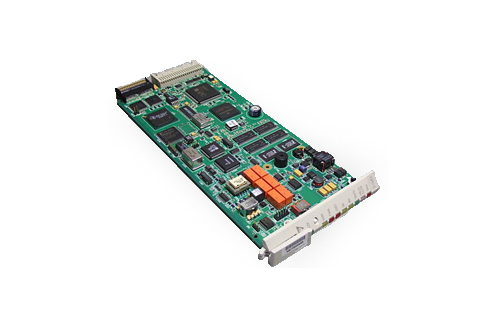 Worldwide Supply offers a variety of used and refurbished Tellabs AccessMax equipment and modules to give your network the reliability it needs. All of our equipment is brought up to OEM standards and tested in real-world scenarios, so there’s never any loss or reason to question. We’re so confident in our experts and technicians that you’ll also get a lifetime warranty on the work we do. To boost your network, a refurbished Tellabs AccessMax provides you with a full set of services on a single platform — from BPON and POTS to DSL, DS-3, specials, hi-caps and more. You also get a high-capacity platform that can support T1, OC-3c, Ethernet 10/100, OC-12c or GigE for interterminal transport.